Phil Buchanan, president of CEP, is a passionate advocate for the importance of philanthropy and the nonprofit sector and deeply committed to the cause of helping foundations and individual donors to maximize their impact. Hired in 2001 as the organization’s first chief executive, Phil has led the growth of CEP into the leading provider of data and insight on philanthropic effectiveness. 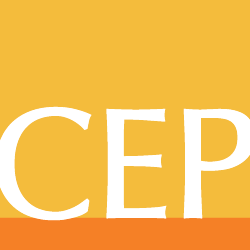 CEP has been widely credited with bringing the voices of stakeholders to funders and with contributing to an increased emphasis on key elements of effectiveness. Phil is author of Giving Done Right: Effective Philanthropy and Making Every Dollar Count, released in the spring of 2019. He is co-author of many CEP research reports, a columnist for The Chronicle of Philanthropy, and a frequent blogger for the CEP Blog. Phil is also co-founder of YouthTruth, an initiative of CEP’s designed to harness student perceptions to help educators and funders accelerate improvements in K–12 schools and classrooms. In 2016, he was named the Nonprofit Times “influencer of the year.” Phil serves on the board of directors of Philanthropy Massachusetts.